Lock in a great price for Sweet Atlantic Hotel & Spa – rated 8.6 by recent guests! Comfy beds, spacious room. Free upgrade. Spa facilities were nice. The restaurant was exceptional, we chose the Indian menu and it was very very good. 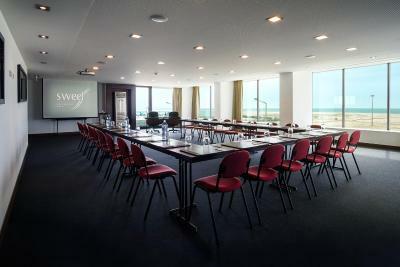 Very confortable, very nice staff, great location, the view. All in all a great stay! The view on the beach was amazing. The room was really clean and very quite. The airconditon was working very well and the bed was comfortable. 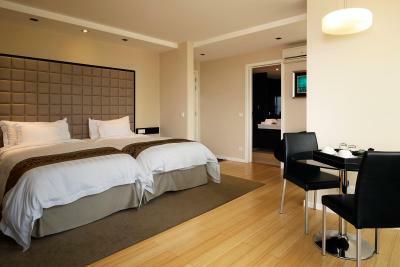 Clean tidy rooms with good maid service. Breakfast had a good variety and was fresh. 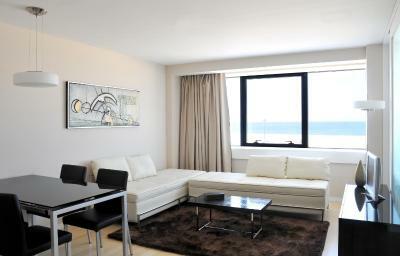 Location was nice and close to the beach with great views from our windows. Really comfortable and great hotel with super friendly and helpful staff, perfect location at the beach (just a short walk over long wooden walkways) and good breakfast buffet for a reasonable price (10€ per person). We had a wonderful and relaxing time here. From the balcony we had a great view on the beach. I booked a basic room but was upgraded to a suite. It was huge and fantastic, a TV in the lounge and another in the bedroom! Kitchen facilities good. Wonderful view. Best biryani ever in the restaurant. The pool in the spa was an amazing experience! Relaxing and invigorating. Sauna and Turkish bath both excellent. Relaxation room afterwards was lovely with tea and brownies. Massage was very good too, also followed by tea and brownies. Sweet Atlantic Hotel & Spa This rating is a reflection of how the property compares to the industry standard when it comes to price, facilities and services available. It's based on a self-evaluation by the property. Use this rating to help choose your stay! 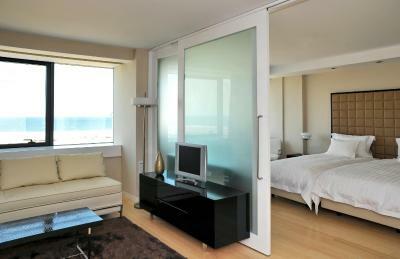 Located in Figueira da Foz, this 4-star beachfront hotel features a restaurant with stunning views of the Atlantic Ocean. It features a spa and wellness center, at an extra fee and free WiFi throughout. 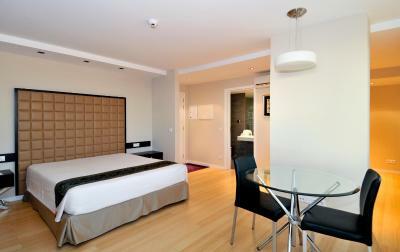 The bright, stylish rooms at the Sweet Atlantic Hotel include modern décor and wooden flooring. They also have a spacious seating area with couches, flat-screen TV, a refrigerator and a microwave. 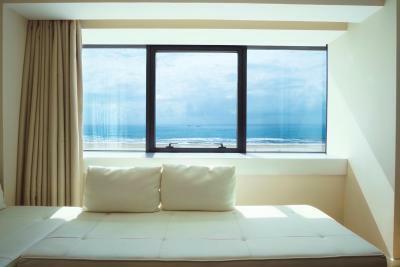 Some rooms feature a balcony with panoramic ocean views. Guests can enjoy gourmet local cuisine from the Atlantic’s à la carte restaurant. 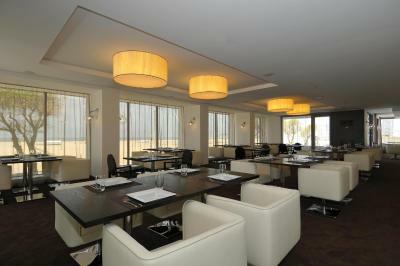 The lounge bar has a spacious terrace overlooking the ocean. There are a wide variety of relaxing spa facilities on offer, including a hot tub, Turkish baths, and massage services. Other convenient facilities at the Sweet Atlantic include babysitting services, laundry services and a tour desk where visits to local attractions can be arranged. 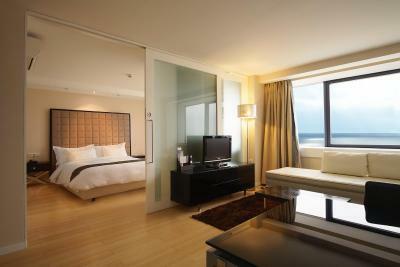 When would you like to stay at Sweet Atlantic Hotel & Spa? Decorated in soft colors, this room offers side view of the Atlantic Ocean. This suite has a bedroom and a separate seating area. 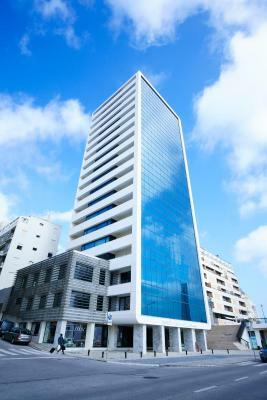 It offers views of the Atlantic Ocean. This suite has a balcony with side view of the Atlantic Ocean. It features a living room and a bedroom with a mini-bar, a microwave and an electric kettle. 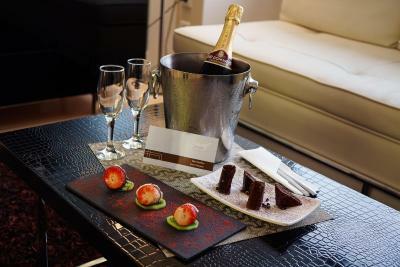 - Welcome package with fruit, brownies and sparkling wine. Please note that the service is not available to children younger than 14 years old. 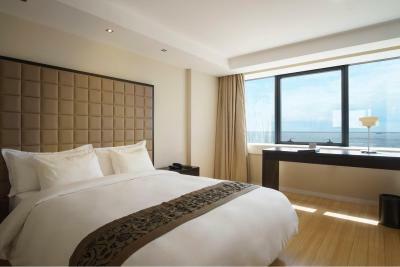 This double room has a balcony with side sea view. 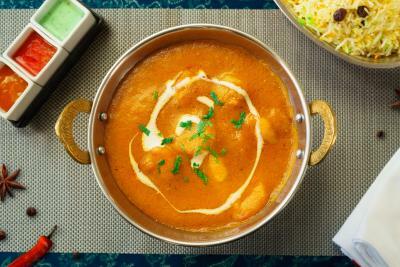 - Gourmet Menu or Indian Menu at Class&Co restaurant for 2 people. This family room has a bathrobe, air conditioning and mini-bar. 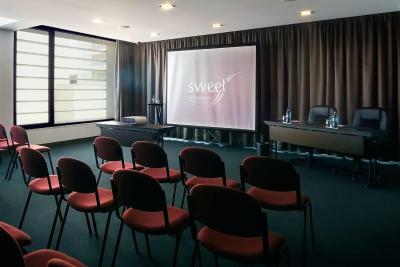 The Sweet Hotels is designed for the most demanding clients and was with them in mind we created the concept Sweet Hotels. Come and see it by yourself! Please note that the pool access is not available to children younger than 14 years old. Please note that Spa access is not available to children younger than 14 years old. Please also note that Spa access has an extra fee. 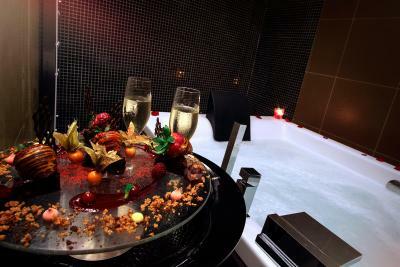 House Rules Sweet Atlantic Hotel & Spa takes special requests – add in the next step! Sweet Atlantic Hotel &amp; Spa accepts these cards and reserves the right to temporarily hold an amount prior to arrival. Sweet Atlantic Hotel & Spa accepts these cards and reserves the right to temporarily hold an amount prior to arrival. Please note that the indoor swimming pool is part of the Spa's Water Circuit and therefore children under 14 are not allowed. Please note that the use slippers and swimming cap is mandatory at the Spa's Water Circuit. These can be purchased on site. Please also note that Spa access has an extra fee. The windows could be cleaner. In a hotel where the view is the key selling poing, was somewhat ashame that as we open the curtains we see the dirt before the beautiful view. The cleaning of the complimentary tea cups could be better done too. Lack of parking in the building. Was possible to park on the street in front but during the summer is paid and would be more challenging to park. They charge additional fees to use the SPA. I think the price is overrated if you can't use all the facilities. Breakfast could and should be better. For this price range one can not expect more. Location of hotel only had minimal parking facilities to ensure security of vehicles. No real atmosphere in the lobby and bar area. A clothesline on the balcony would be great, but this is just an idea. Nothing to complain about at all.